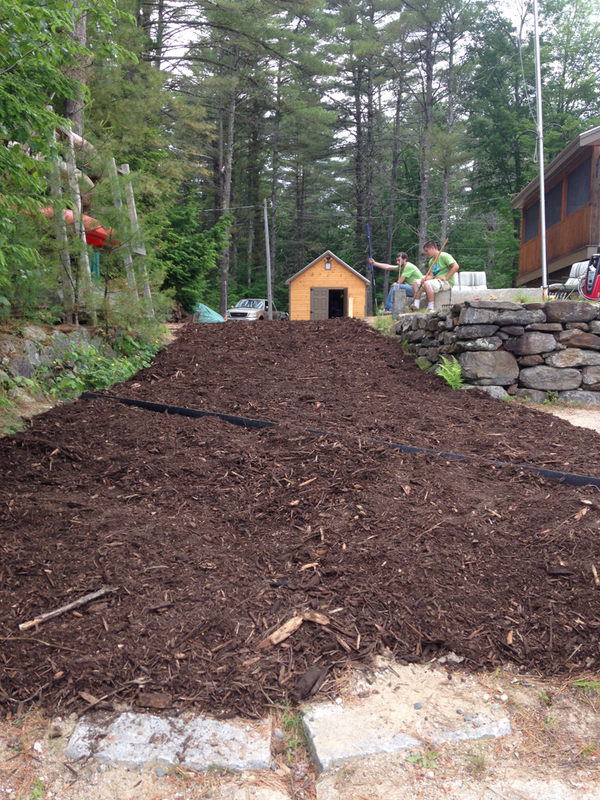 Mulching to stabilize and enrich the soil. Also Called: ECM, Slope Stabilizer, Erosion Control Mulch, SuperhumusTM, Wood Waste, Stump Grindings. Purpose: Erosion Control Mix (ECM) is a kind of mulch made of partially composted bark, sand, gravel, stone and wood fragments. 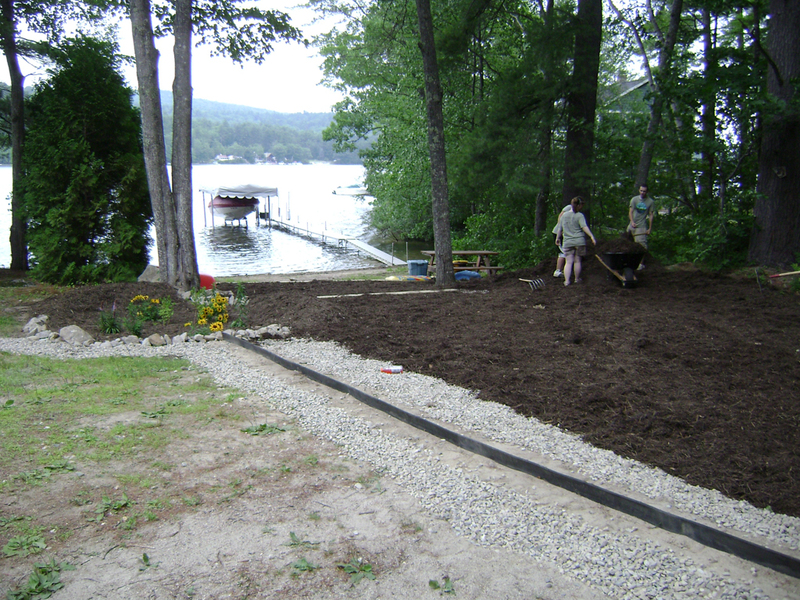 It is much heavier than other types of mulch and its mixture of elongated fibers, gravel and soil lock together to protect the underlying soil from erosion. 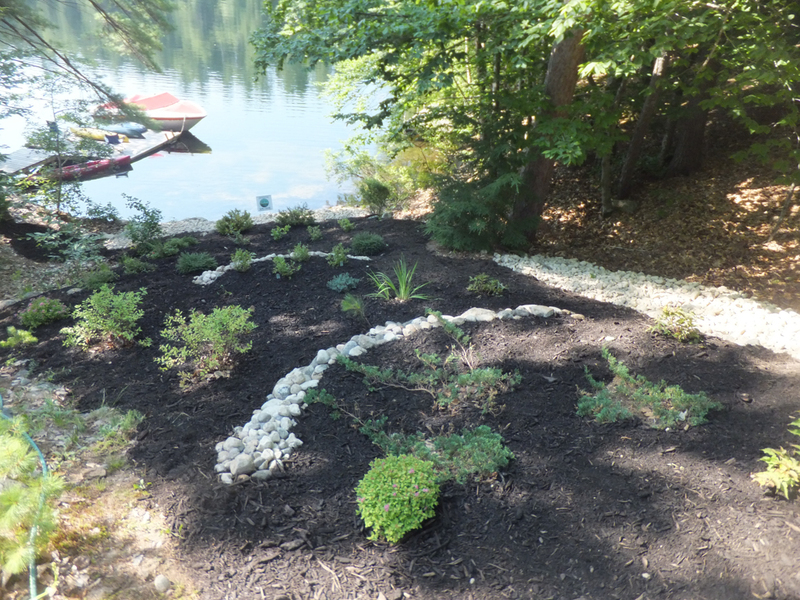 Like other mulches, it also retains moisture, controls weeds and improves the soil as it decomposes. 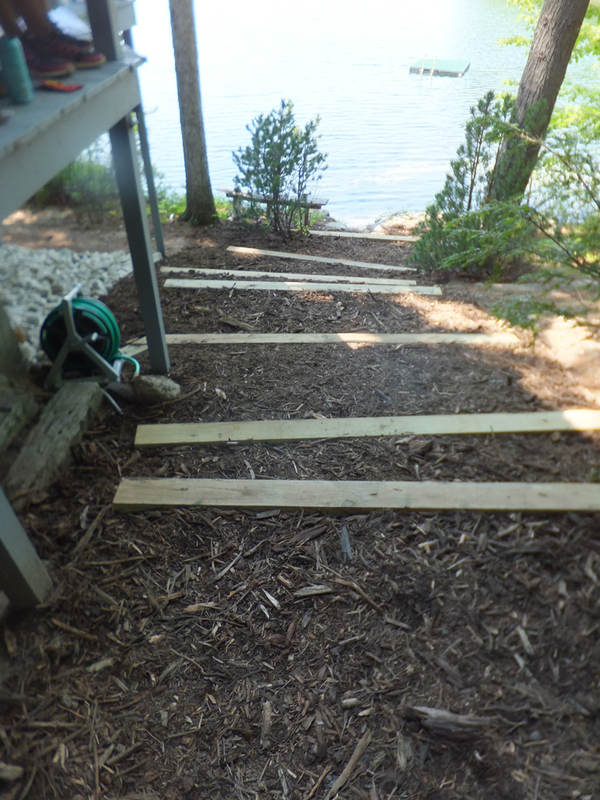 It can be used on paths, slopes and between plantings. 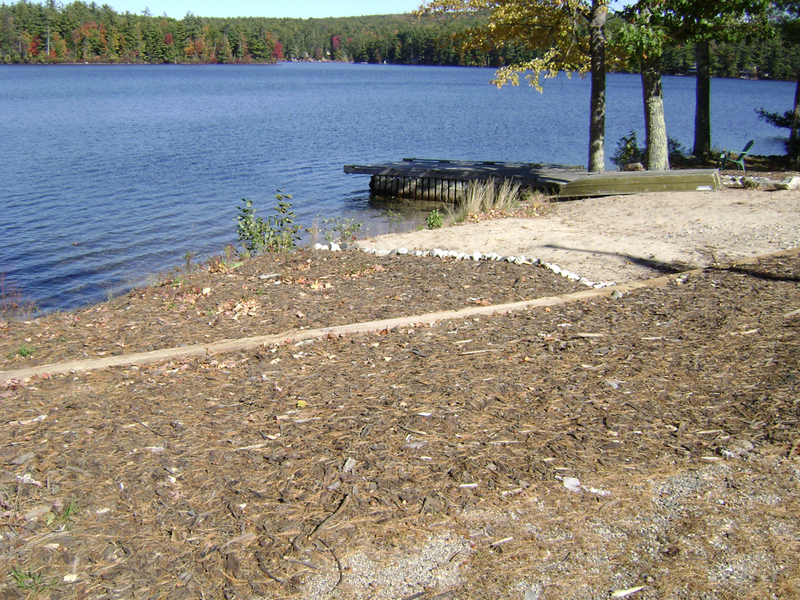 Installation: ECM should completely cover areas of bare soil to a thickness of 3 to 4 inches. Keep an inch or two of space between the mulch and base of plants. Erosion Control Mix should not be used in areas with concentrated water flows or on slopes greater than 2:1 (27°). 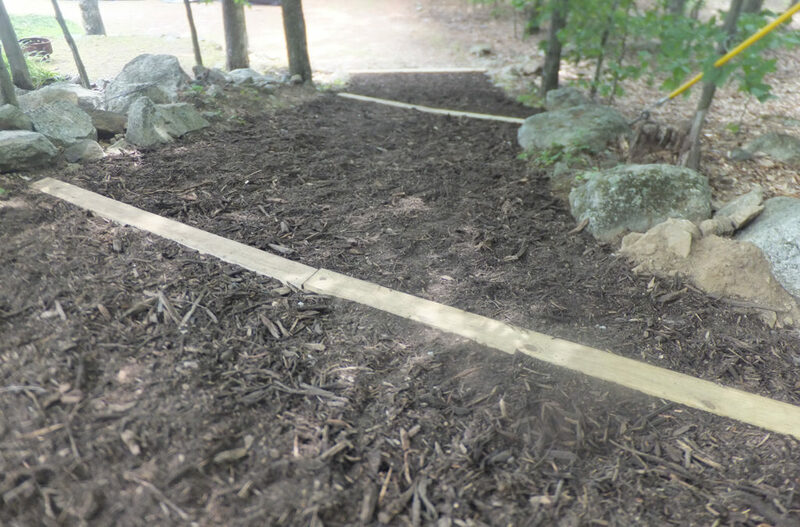 ECM often comes in a fine grade (such as SuperhumusTM) that works well in a more landscaped setting and a standard, more “chunky” grade that is less composted and holds up better on steeper slopes and paths. Some people choose to top-dress the chunky ECM with a few inches of SuperhumusTM or regular bark mulch for a more finished appearance. If the ECM is going to be used to naturalize an existing lawn or grassy area, a weed barrier such as several layers of newspaper should be placed down before the mulch is added. Tip: ECM can be added in conjunction with other BMPs. ECM can be spread in between waterbars or rubber razors, and around native plants. 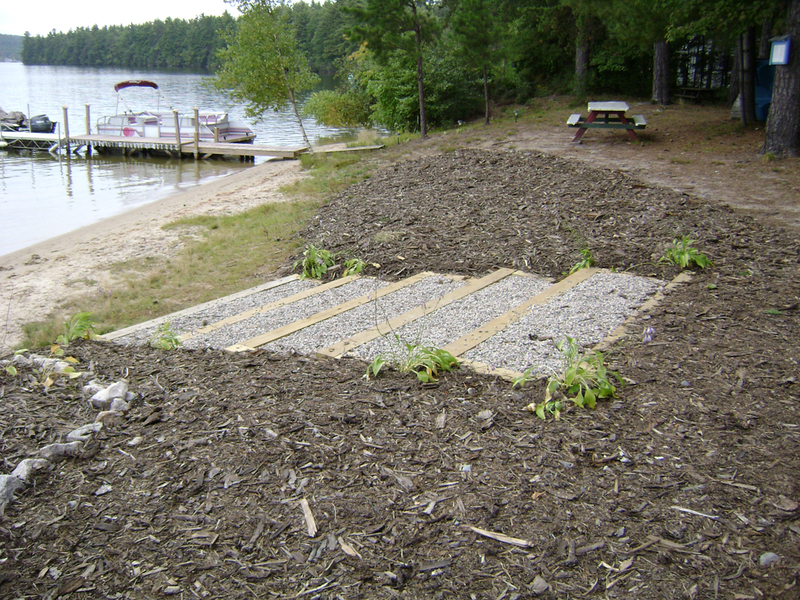 It’s a versatile BMP and ECM can be put on almost any area in need of some protection from erosion! Materials: Locating this product can be difficult. However, many contractors are starting to use it on construction sites in place of silt fence. Contact your local contractor or gravel pit and ask for Erosion Control Mix or the other names mentioned above. Make it clear that you are not looking for landscaping bark mulch because it is not the same product and will not be as effective. Some transfer stations also make ECM available to residents. 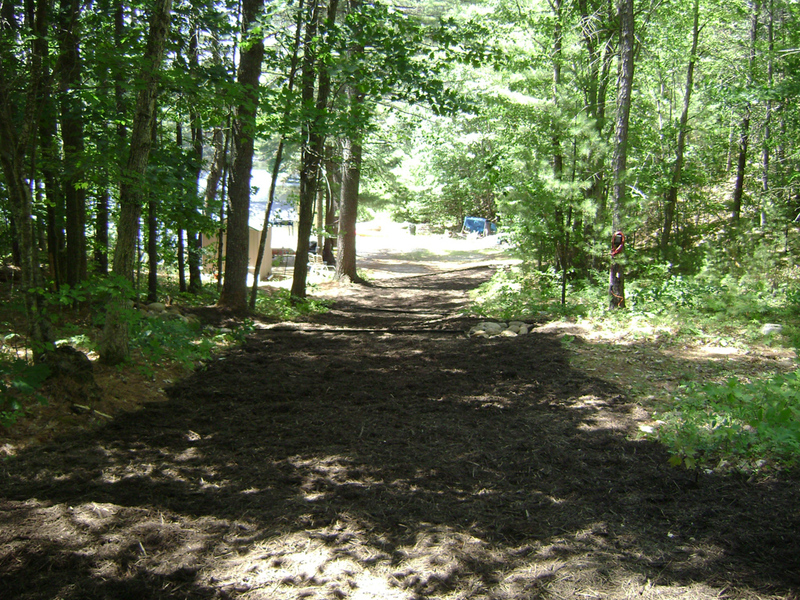 Maintenance: Mulched areas should be inspected regularly and after each large rainfall. 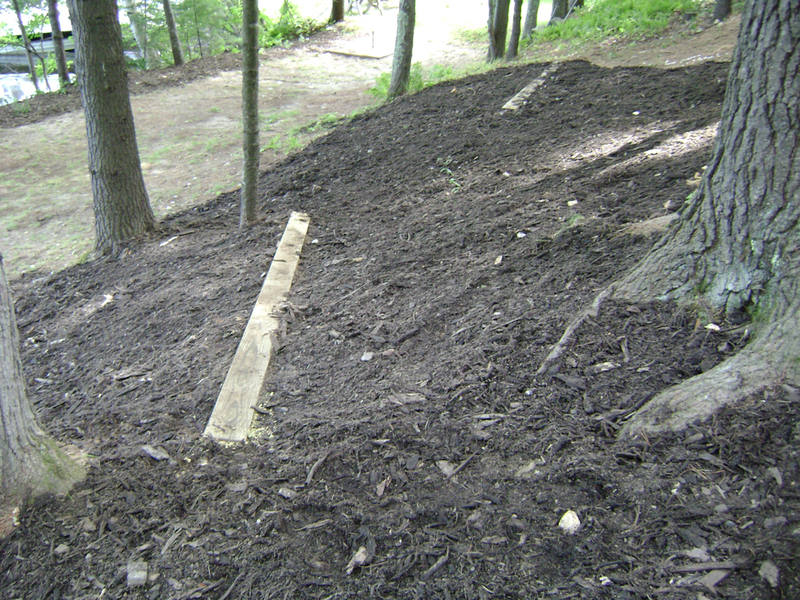 Mulch should be immediately added to washed out areas to maintain the desired thickness. ECM should be left in place, and new plant growth should be promoted. Mulched areas should not be raked. 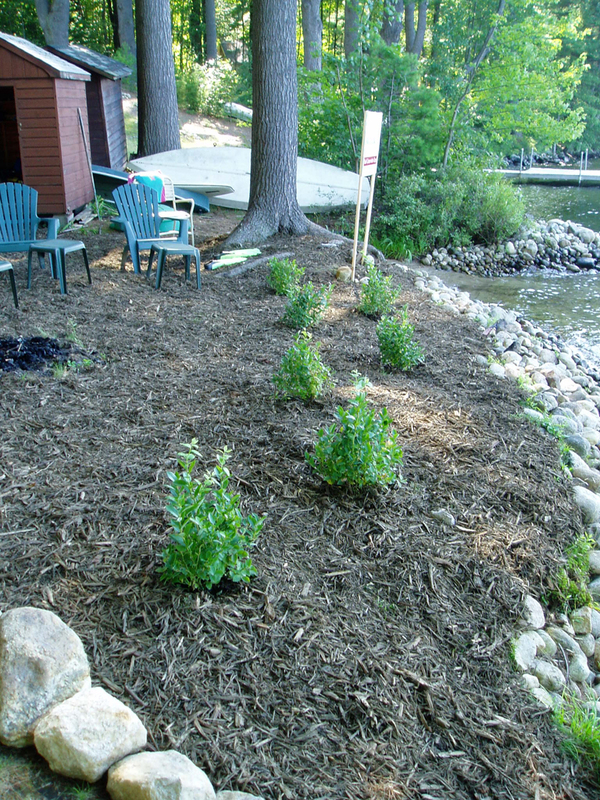 Drawbacks of Other Mulches: ECM is the most effective mulch for erosion control purposes. If ECM is not available, however, the following other mulches may be suitable. Any mulch is better than bare soil. Pine Needles – Washes away easily on slopes. Provides a natural look and is often plentiful and free. Especially good around acid-loving plants like blueberries, azaleas and rhododendrons. 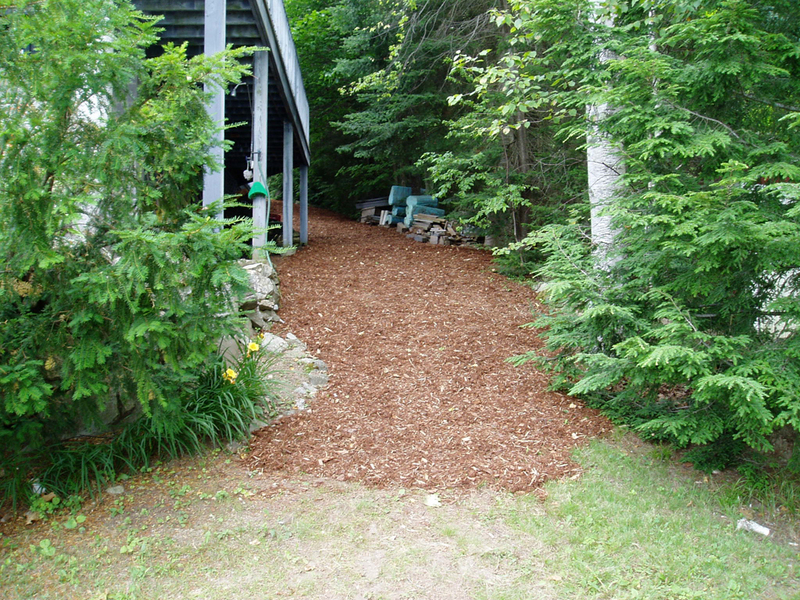 Bark Mulch – Better than bare soil, but easily eroded. Most popular mulch and readily available. 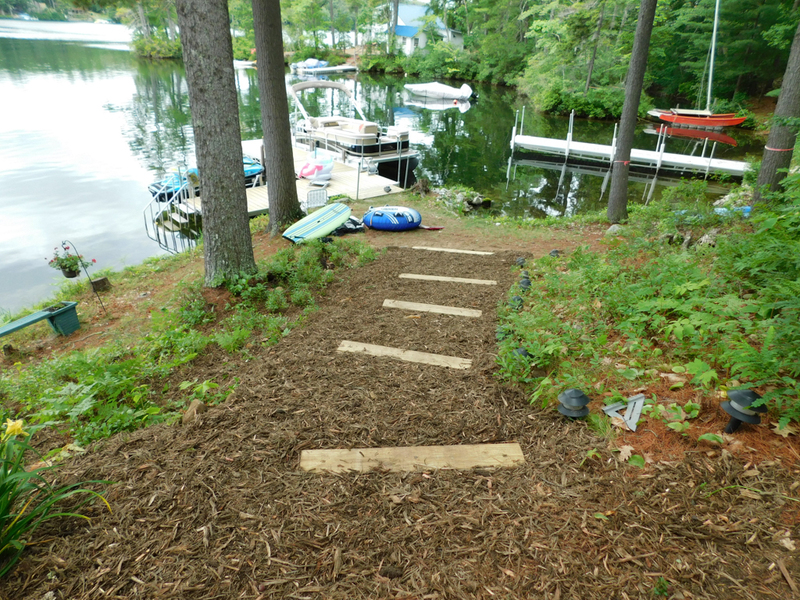 Wood Chips – Will float away in rains and does not enrich the soil like ECM. 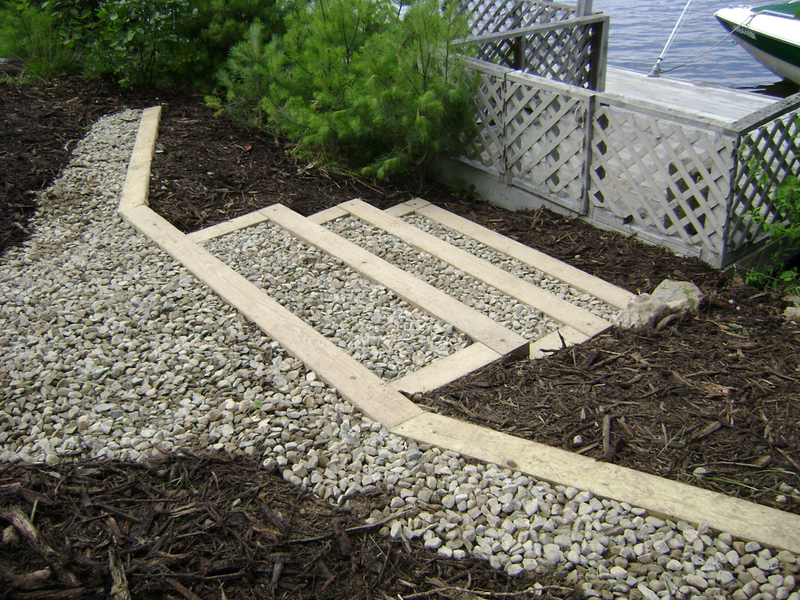 Crushed Stone or Pea Stone – Does not allow vegetation to grow, creates an unnatural appearance and may not be allowed by DEP or Town depending on distance to water.